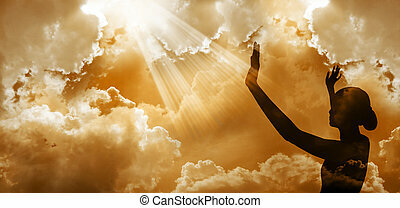 Praising. 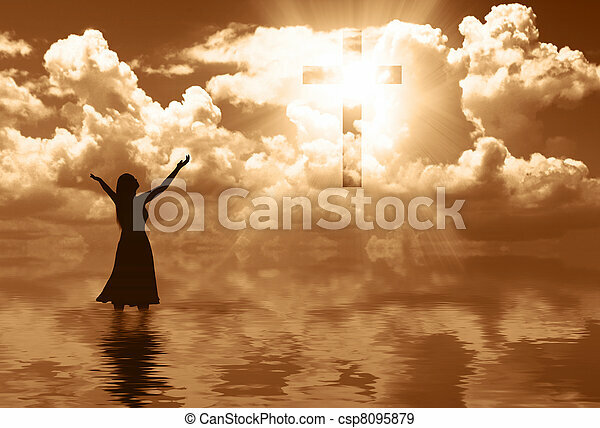 A woman praising the cross in the clouds. 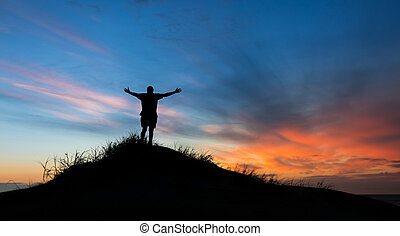 Man Praising God on top of a hill after sunset. 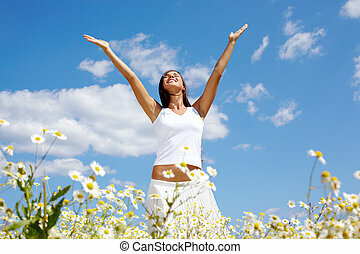 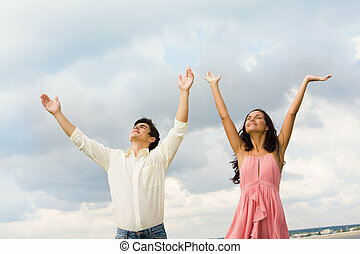 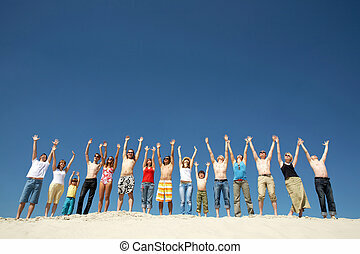 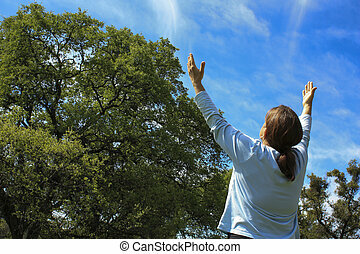 Woman Praising God with Oak Trees in the Background and blue sky. 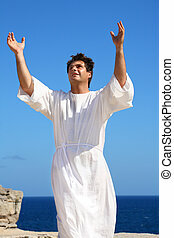 A man dressed in white robe with hands raised in spiritual devotion, praise or happiness. 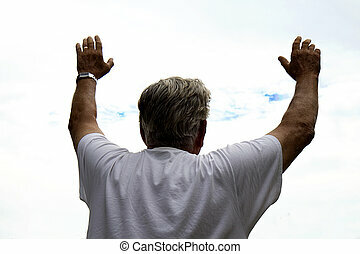 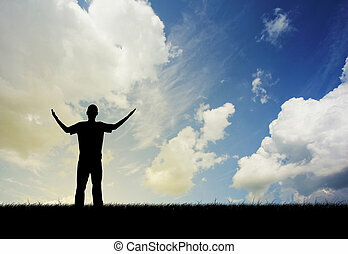 Man in silhouette lifting hands in praise in grassy field. 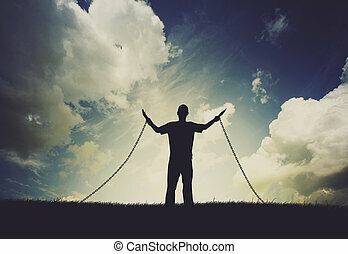 Man lifting hands in praise even though chained to the ground. 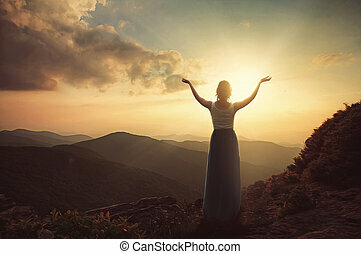 A woman standing in a field with sun rays coming down on a grunge background. 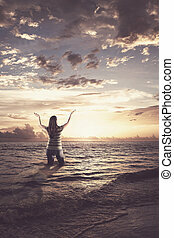 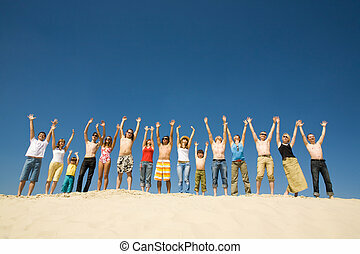 Woman standing in the ocean and lifting her arms up in praise. 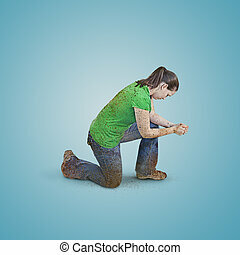 Woman covered in mud and dirt and praying. 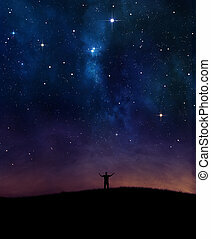 A man lifting his hands in praise under night sky. 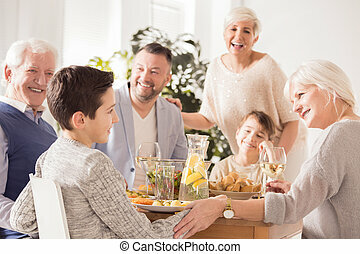 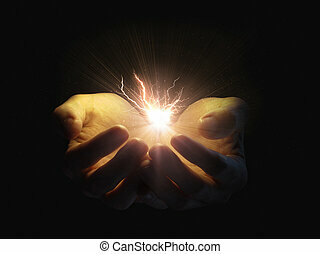 Two open hands holding a glowing lightning bolt. 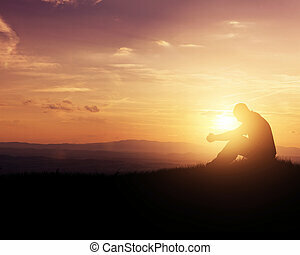 Man praying as the sun rises in the mountains. 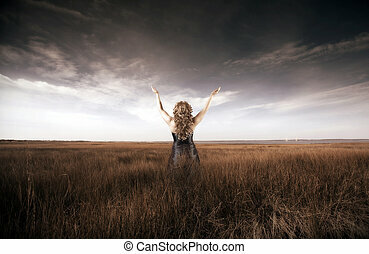 A woman with a broken heart in field. 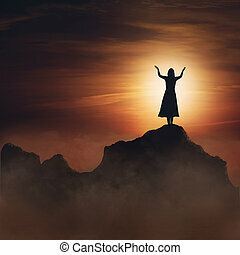 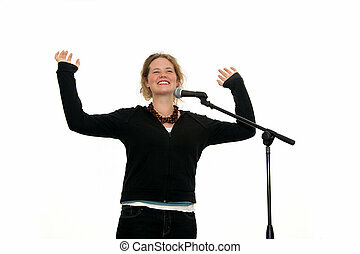 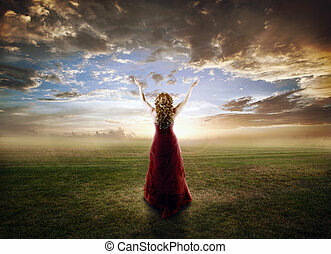 Woman on mountain in praise and worship. 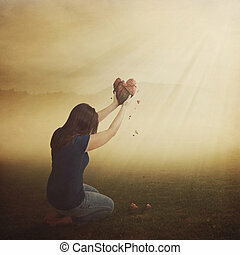 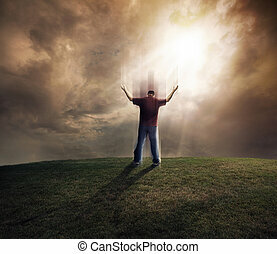 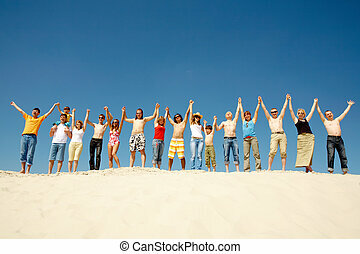 Man lifting up his soul and arms on grassy field.